Join the campaign to #LiftheBan! We are campaigning to #LifttheBan, will you join it with us? Current UK law prevents asylum seekers from working, instead they are allowed just £37.75 a week (£5.39 a day!) to live off. With those seeking refuge in the UK waiting months, often years, for a decision on their asylum claim, this perpetuates poverty. Preventing people from working prevents integration. By removing the opportunity for people to improve their English, learn new skills (or develop those they already have), make friends and build ties, it also remove the opportunity for people to feel as though they are part of the community. Banning people from work impacts heavily on their dignity. Many people seeking asylum are skilled workers, who have spent many years studying, developing their skills and building their knowledge. Being able to continue their work, contribute to society and share what they may have spent a long time developing is a vital part of affirming one’s sense of self! We are part of the Lift the Ban coalition and together we agree that this ban is a waste, not only of the country’s resources, but a complete waste of skill and potential. 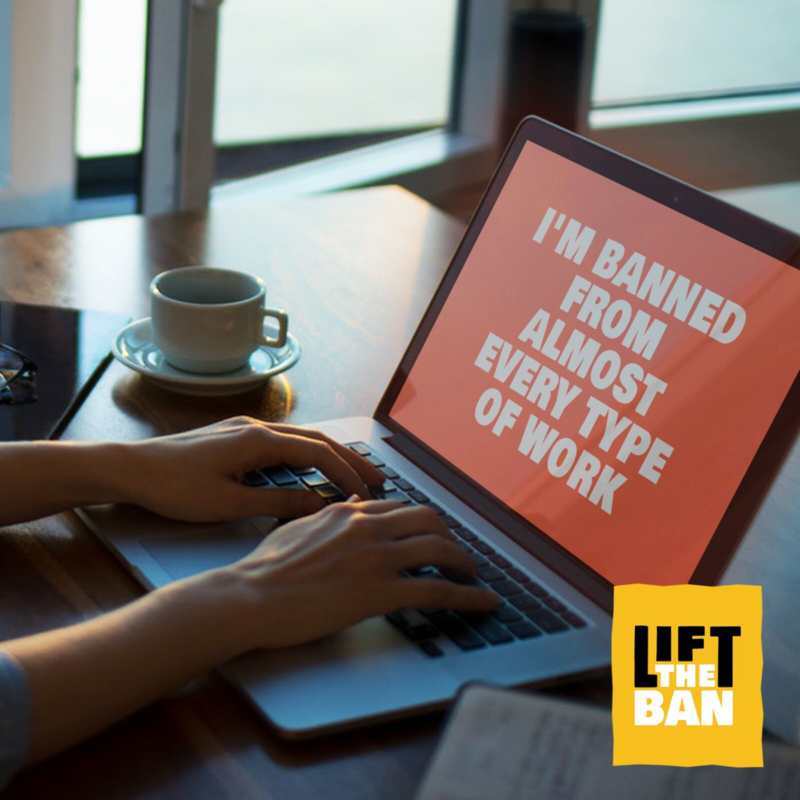 Sign this petition if you want to #LifttheBan!